Computer without security program is quite risky, as this may expose your system to malware and ransomware. It is always advised to install a good security program, so that your system can be protected against different threats. However, sometimes users may face a situation in which they do not have any antivirus installed or some users may have installed trial version of different security programs which offered protection for a small period. But do you know that if your system is lacking a security program, you can still protect it from malicious programs? Yes, Windows operating system is already loaded with a small tool knows as ‘Microsoft Windows Malicious Software Removal Tool’. As the name suggests, this tool can provide protection against malicious software and also shows the scan result. 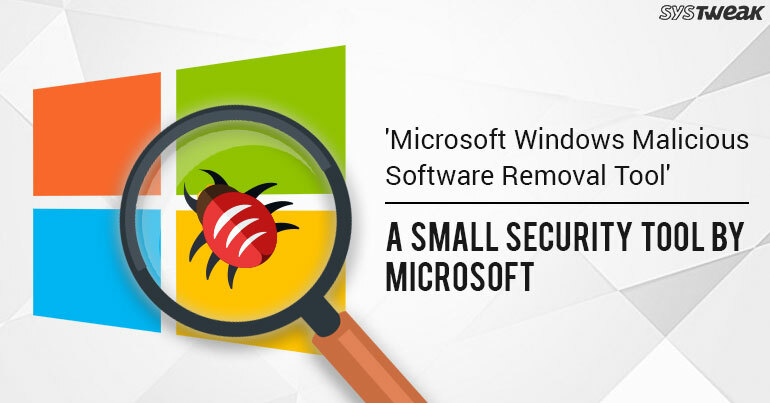 It is a virus removal tool which has been developed by Microsoft for Windows operating systems. Since it is an on-demand security program, hence it is not so popular. But Microsoft always works on this and provides security updates on second Tuesday of every month, which is commonly known as “Patch Tuesday”. So, if you are not aware of this program, then keep reading below. How to Use Microsoft Windows Malicious Software Removal Tool on Windows 10? In the search box near start icon just type MRT and click on the MRT icon from search result. Now, you will see the first window of this tool, so here just click on Next button from below. Select the scan type as per your choice and click on Next. Now it will start the scan for the malicious program available on your system. Once the scan is completed, it shows the details about the malicious software which was detected. Suggestion: Keep Windows updates always On, as they provide the security patch for this tool on second Tuesday of every month. As this tool is on-demand security program, it will not protect your system in real time, you will have to manually run it whenever you need it. You cannot completely rely on this, as it is not a replacement for an anti-virus product. It only helps to protect your system from highly rated malwares, therefore, you should install an antivirus product as soon as you can arrange. It definitely protects the system from malware with high detection rates. However, as its database or security update is released once in a month, therefore, it is unable to detect malware which are more recent. Microsoft has already provided different useful tools in its operating systems, preinstalled. However, due to non-popularity, users are not aware of them.